Sapa town in Lao Cai province is a gem hidden in the clouds. It unveils its dazzling beauty in the sunlight. Perched at 1,600 meters above sea level, the city attracts tourists all year round. In spring, it is covered with flowers. Its cool climate contrasts with the sweltering heat of the cities down in the delta. In autumn, the mountain is yellow with ripening rice fields and in winter, it’s dressed in a mysterious mist. 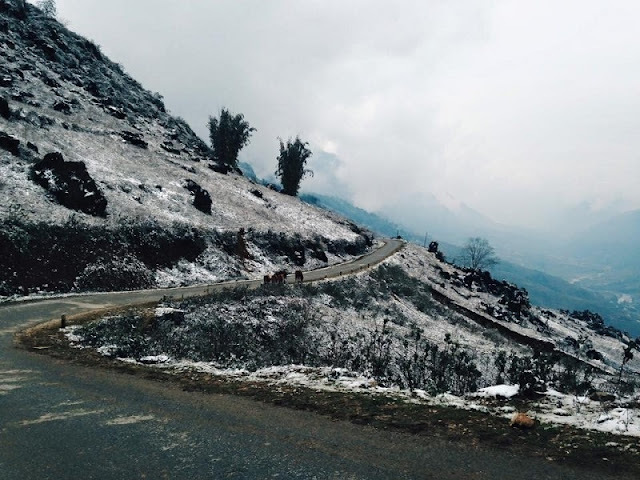 "8 attractions of Sapa, 8 interesting tourist style"
The vague mist, takes visitors into a surreal world. Fog floating, floating. The fog beans on hand, sitting on lap, iridescent mist deposited on the hair, on each eyelid. Ringed fog in the trees, flowers, grass, dew on spider silk to make up the charming beauty of mountains and sea, captivates visitors. In November, Sapa is like being replaced or dress up a new hides many wonders. Weather of Sapa in November was also colder, but not frostbitten. The sun shines down weakly reinforces lands seemed magical to Sapa. 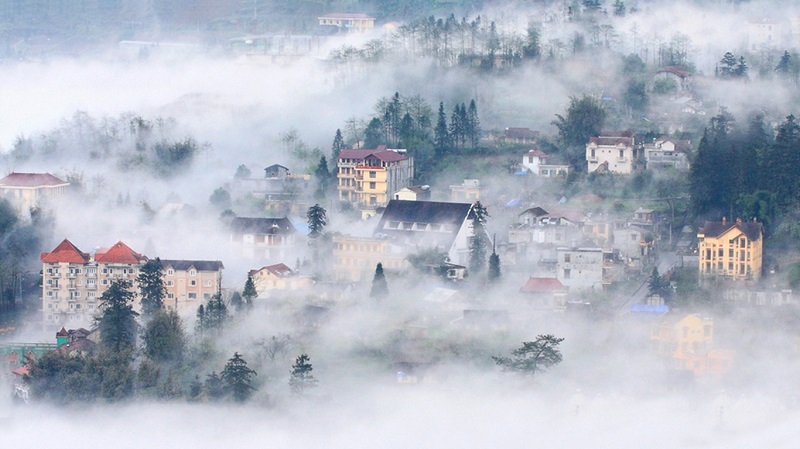 Coming to Sapa town, tourists can not help uttering praise for Sapa town - “The fanciful in the fog”. Only to Sapa, guests can feel the magic of the land here. Walking in the fog, tourists shiver but enjoy the feeling of chilly dew droplets on their face. For nature lovers, winter is the ideal season to visit Sapa. They can walk around the lake, and admire the stone church and the sa mu trees, the large trees in the forest that symbolize local people’s energy and strength. In the mysterious mist, Mong and Dao ethnic minority people with children in their back as they spin flax or embroider brocades add to the charm of Sapa in winder. 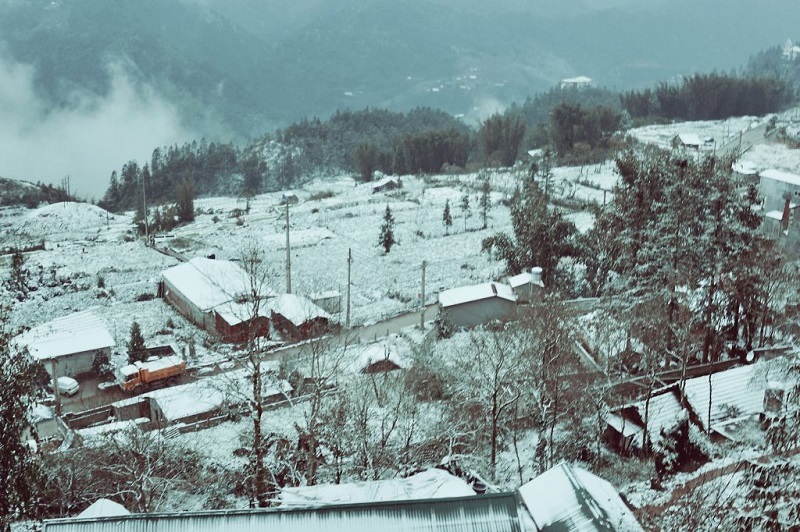 Winter gastronomy in Sapa can seduce the most discriminating palates. To go to a small restaurant, enjoy a hot cup of coffee, and contemplate the street is a real pleasure. It’s difficult for tourists to resist the tempting smells of the grilled dishes. That’s why the grillrooms are always crowded. Nguyen Thi Thanh is a Sapa restaurant owner:"At first I sold only grilled corn, sweet potatoes and eggs. Then I added grilled meat and mushrooms. The seasoning is simple: cashew nut oil, shallots, lemongrass, salt, sugar. To prepare meat stuffed with vegetables, I cut the fillet of pork thigh or beef into thin slices. The same recipe is used for grilled pumpkins and eggplants. Fish can be seasoned according to the customer taste. Everything can be grilled”. 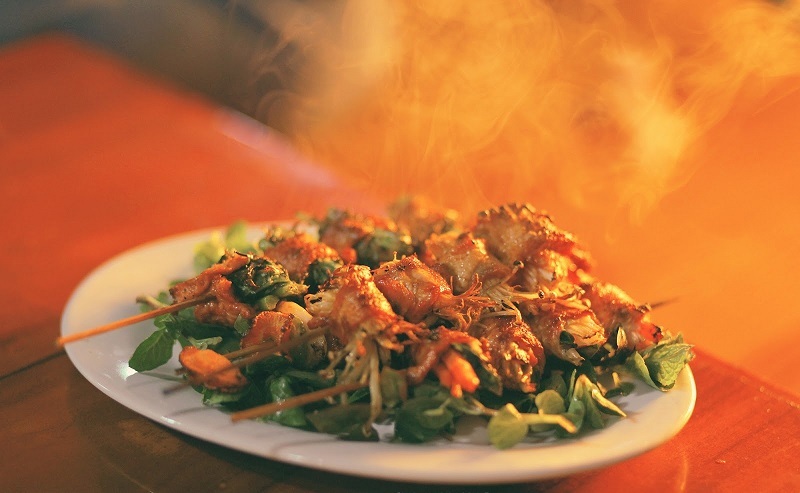 Night is the perfect time to enjoy grilled dishes in Sapa. Nothing is better than to snuggle next to the fire, savor these simple but delicious dishes, and immerse yourself in the quiet night of a mountain village. Your journey will be even better if you visit all 3 great destinations Hanoi_Halong_Sapa is considered the golden point of Vietnam tourism. Wish you have the journey to discover Vietnam interesting.